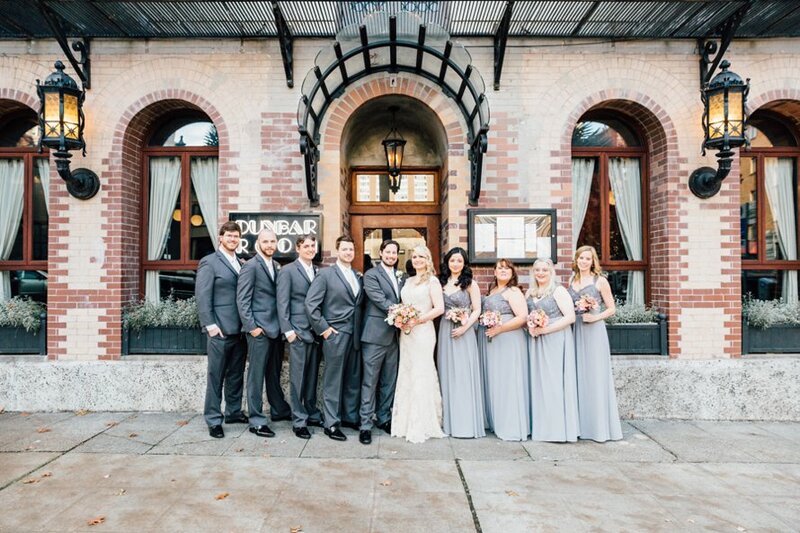 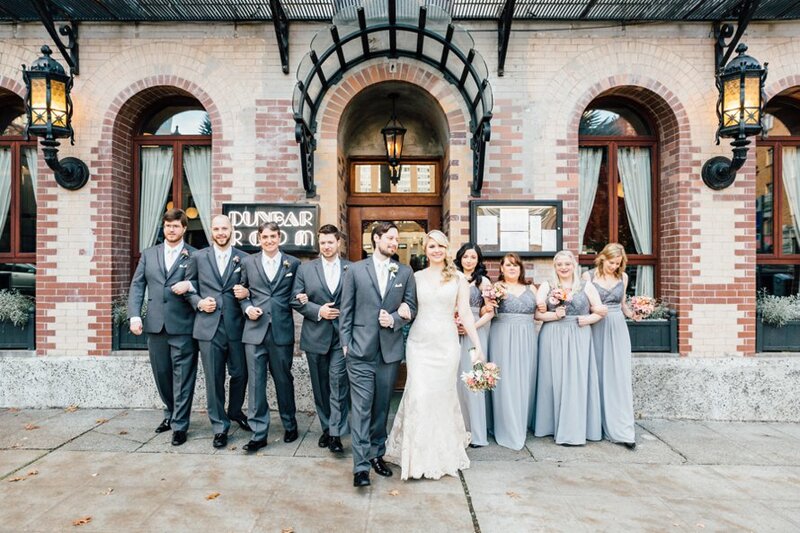 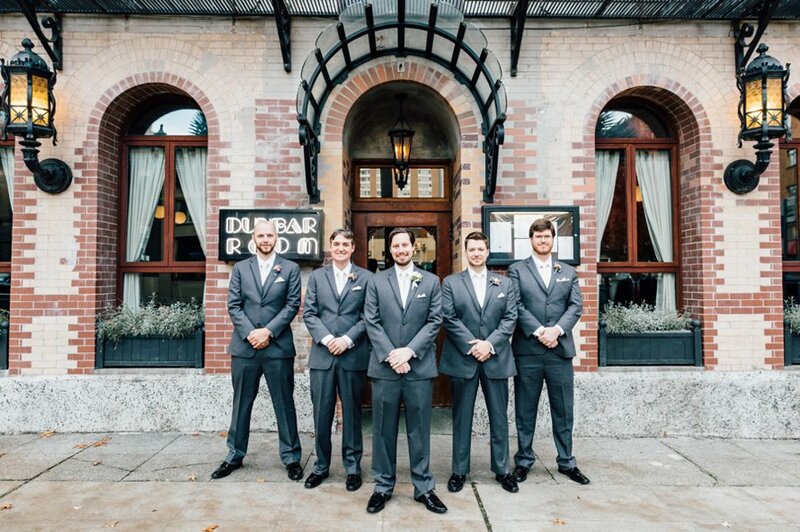 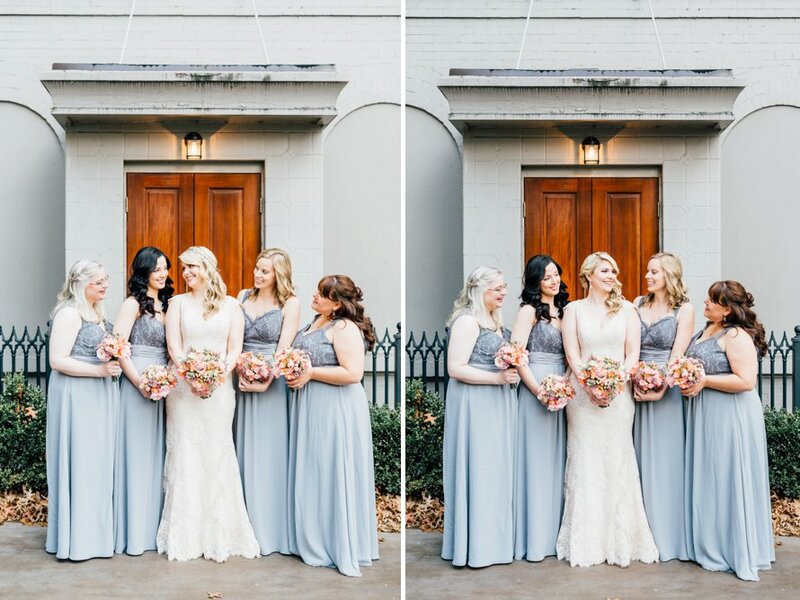 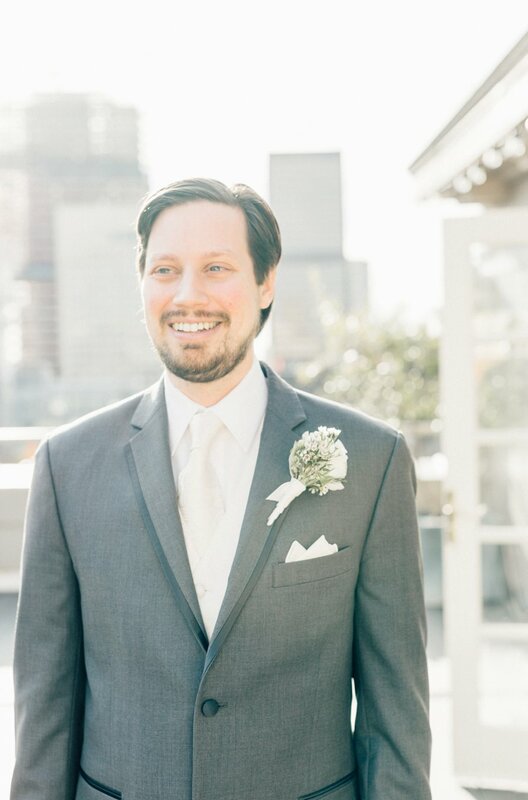 Pops of champagne, slate blue and marble all around found us in downtown Seattle for Kerry and Jim's wedding day! 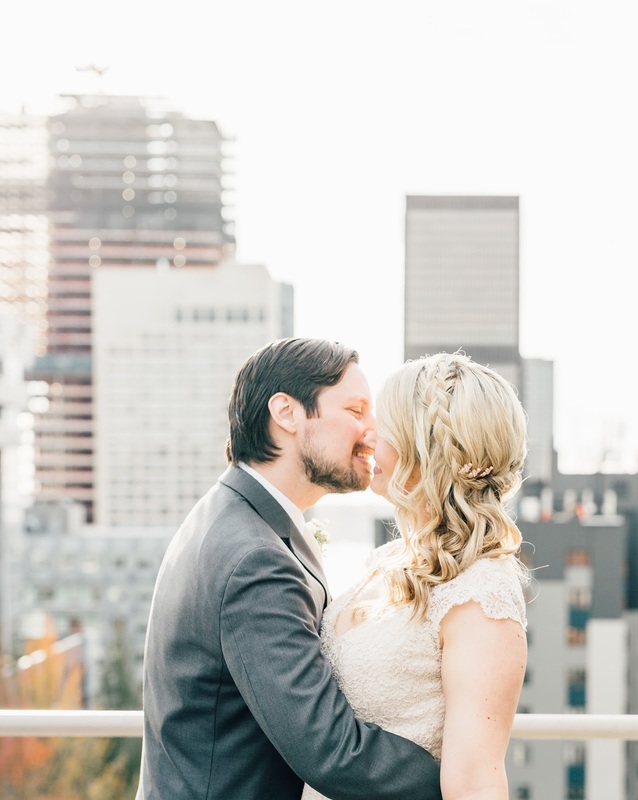 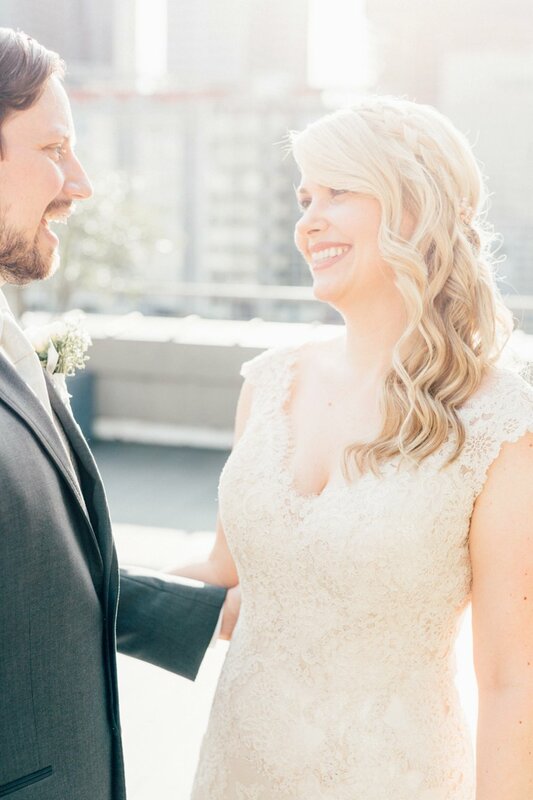 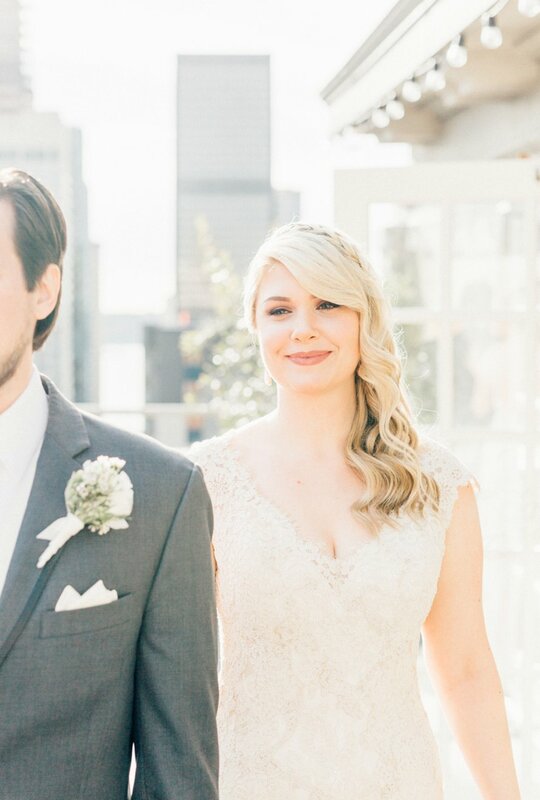 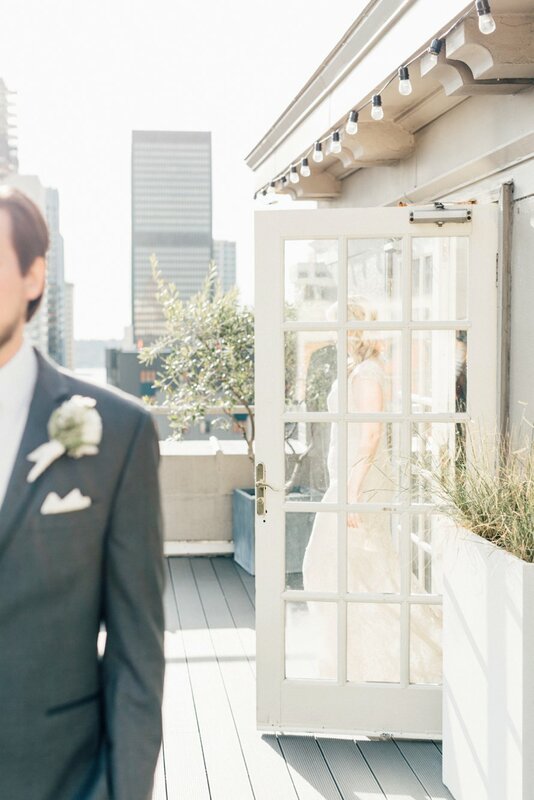 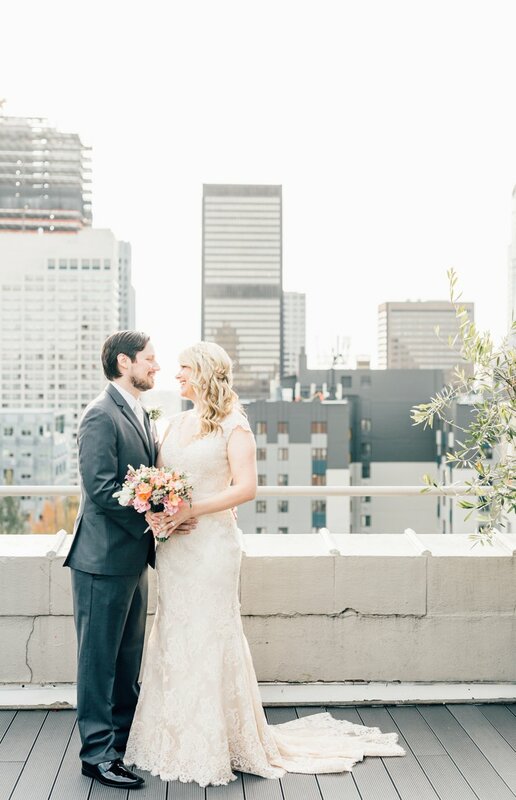 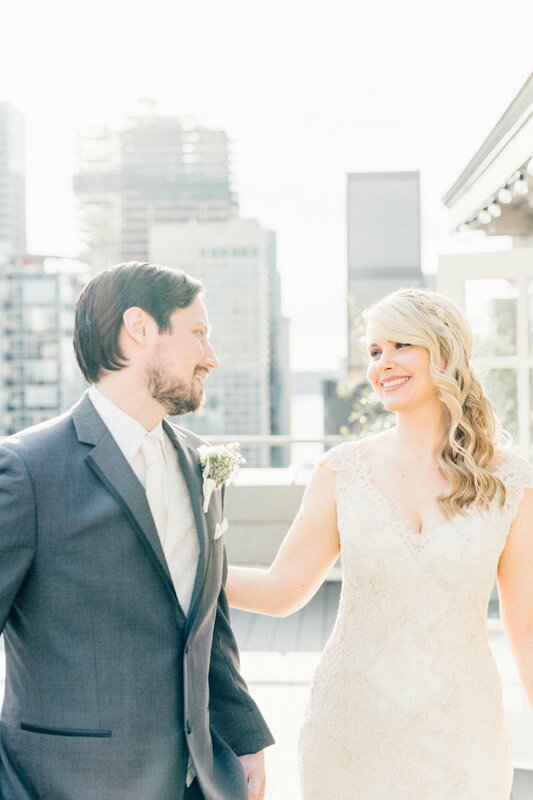 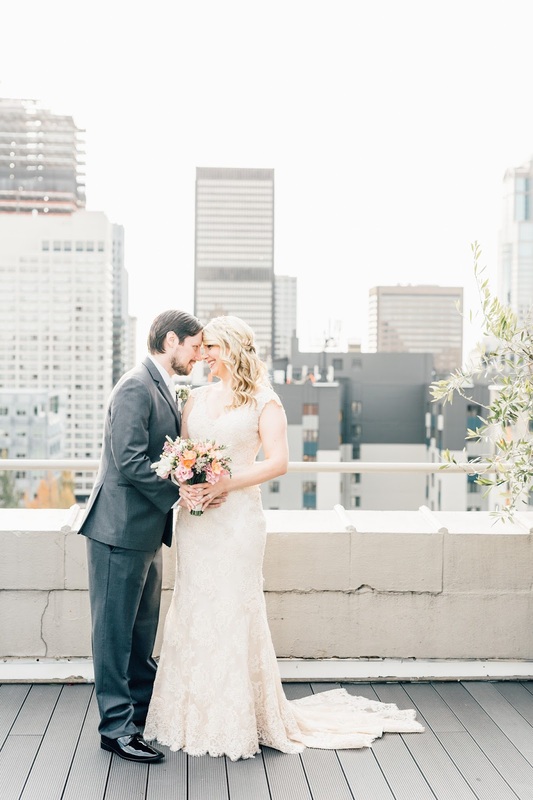 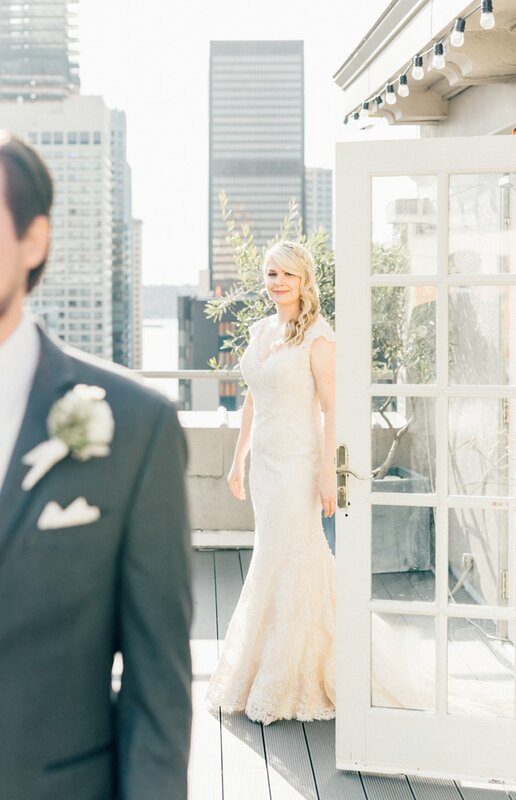 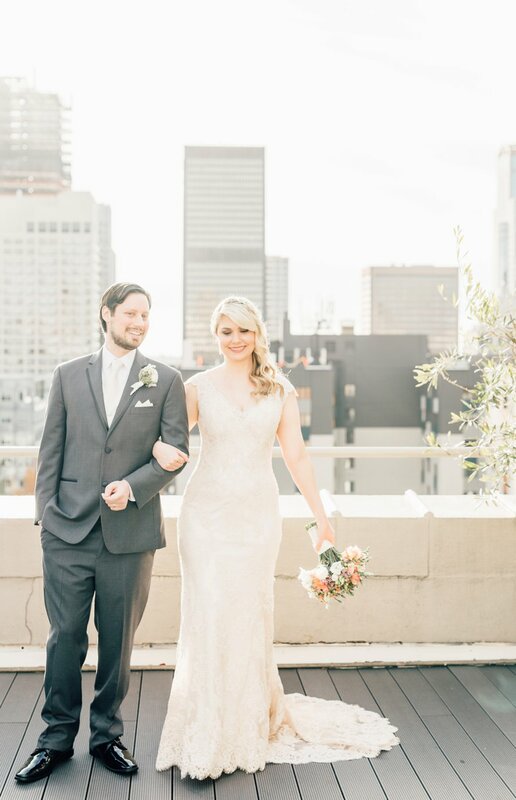 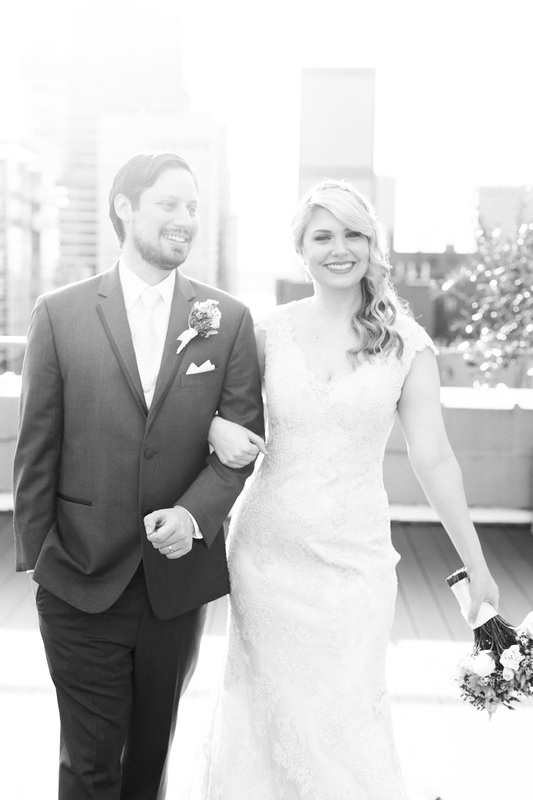 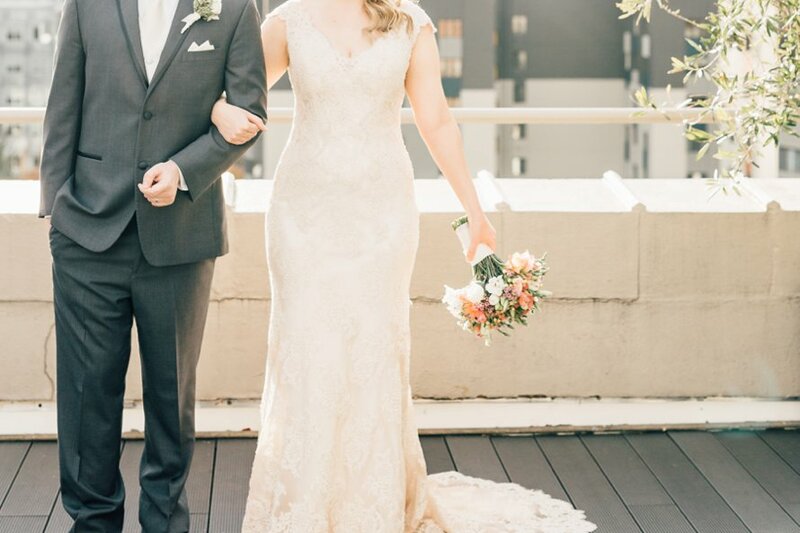 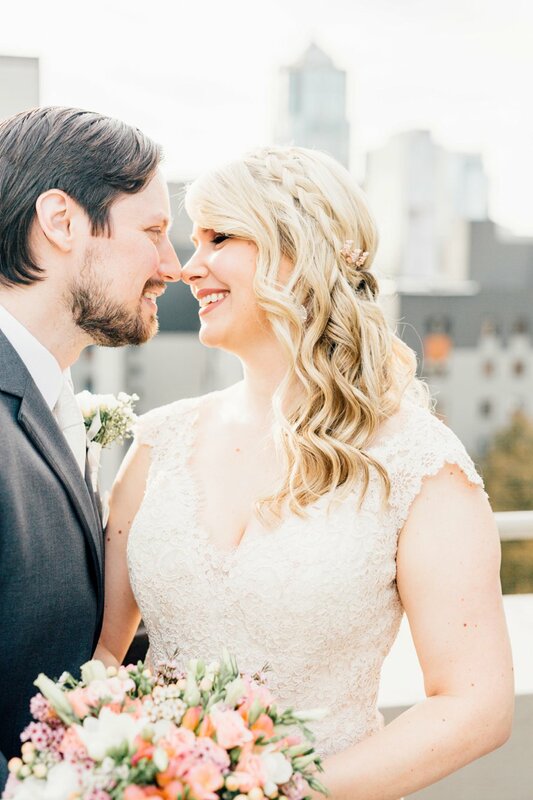 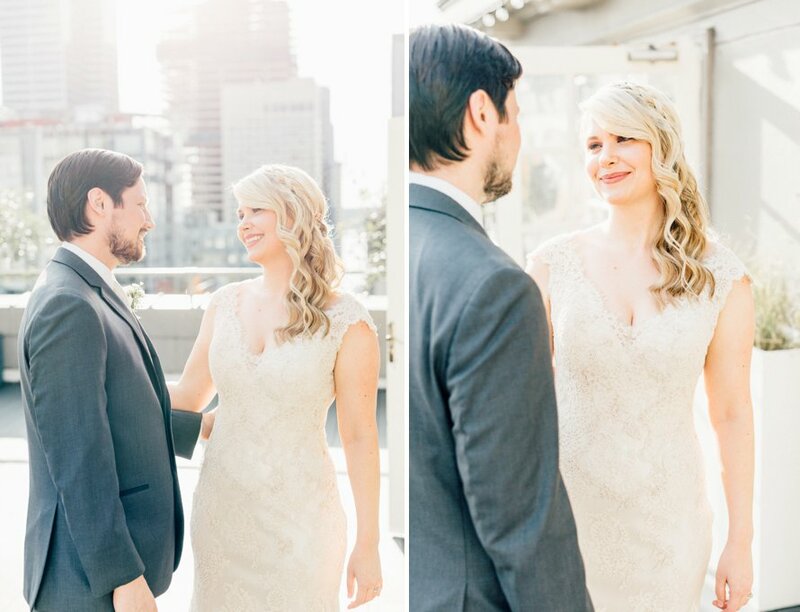 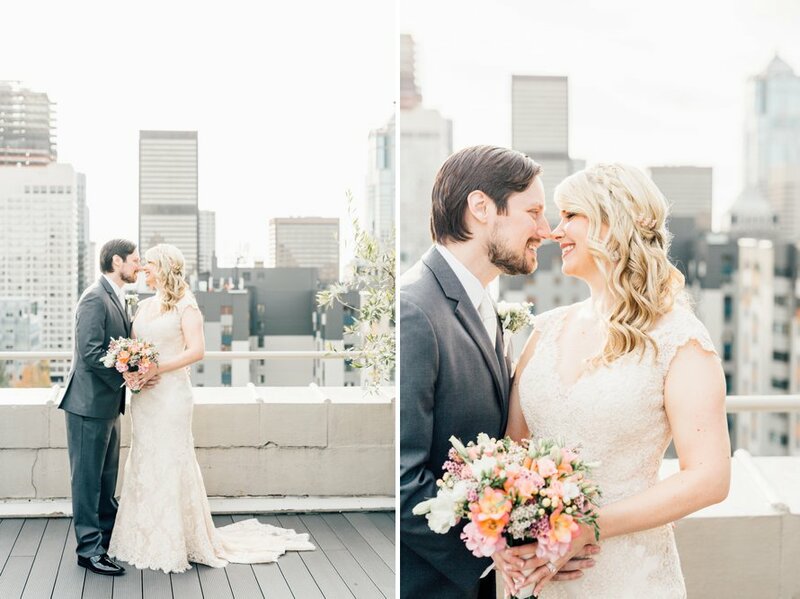 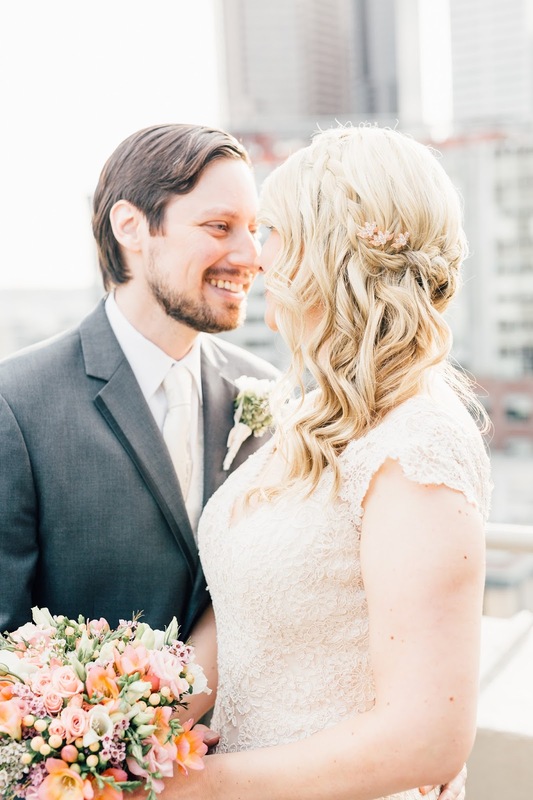 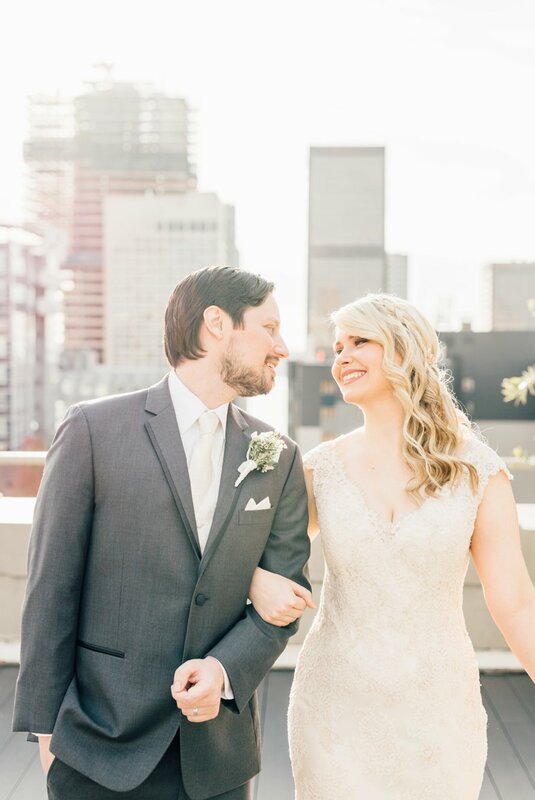 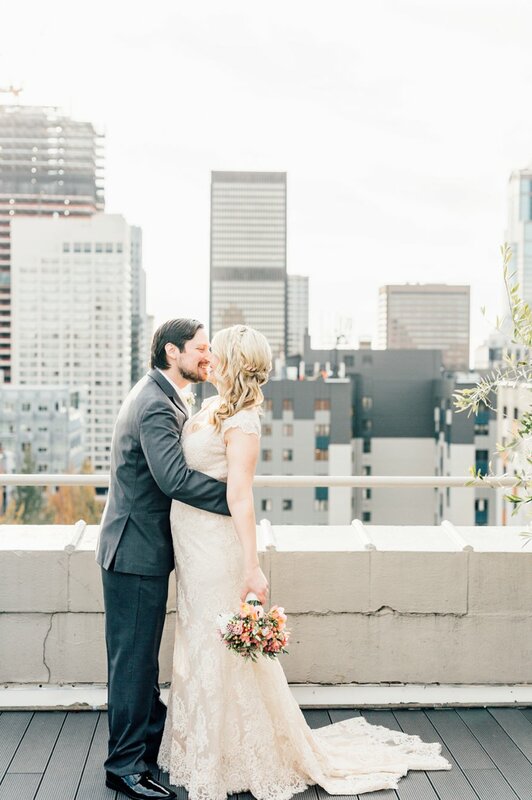 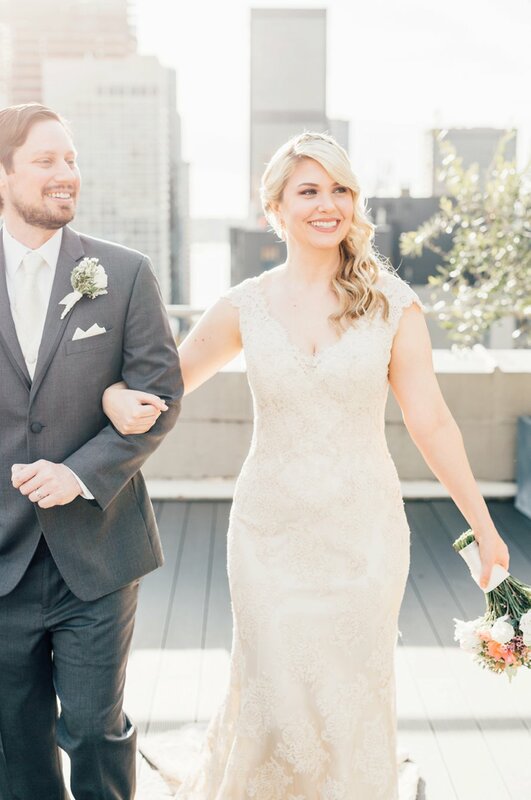 Skyline views served as the perfect backdrop to this couple's rooftop terrace first look. 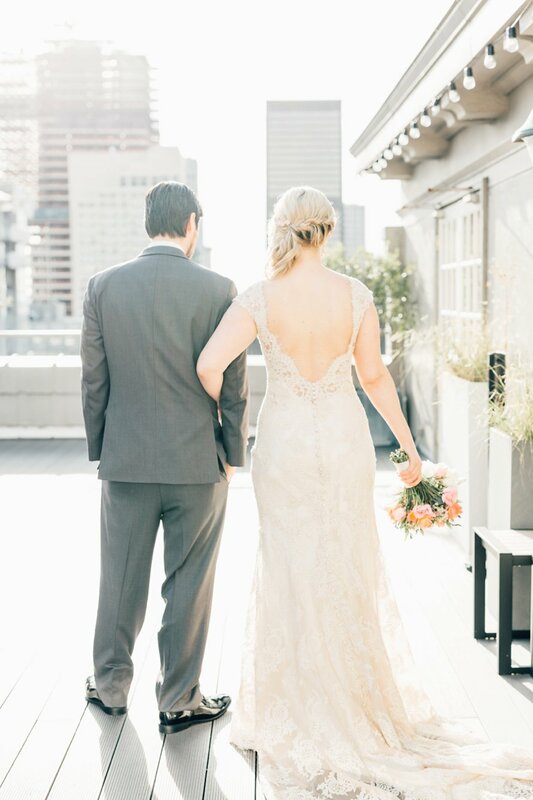 From that moment on into the evening, they were inseparable. 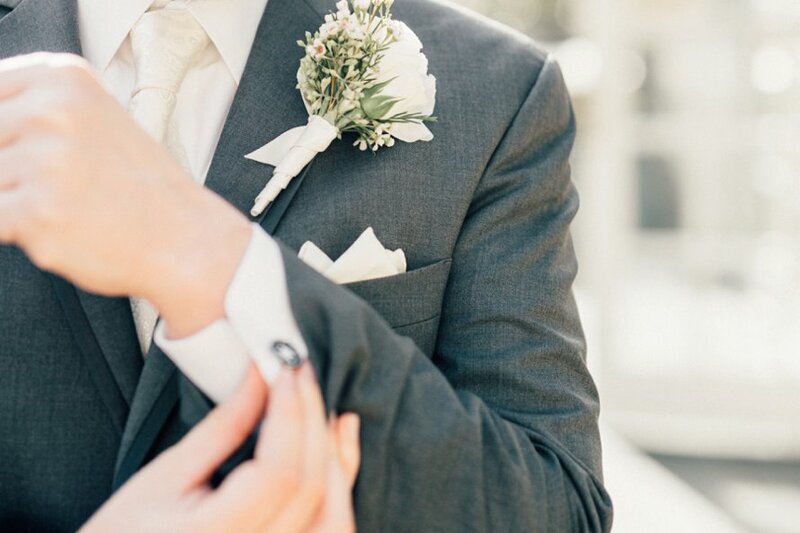 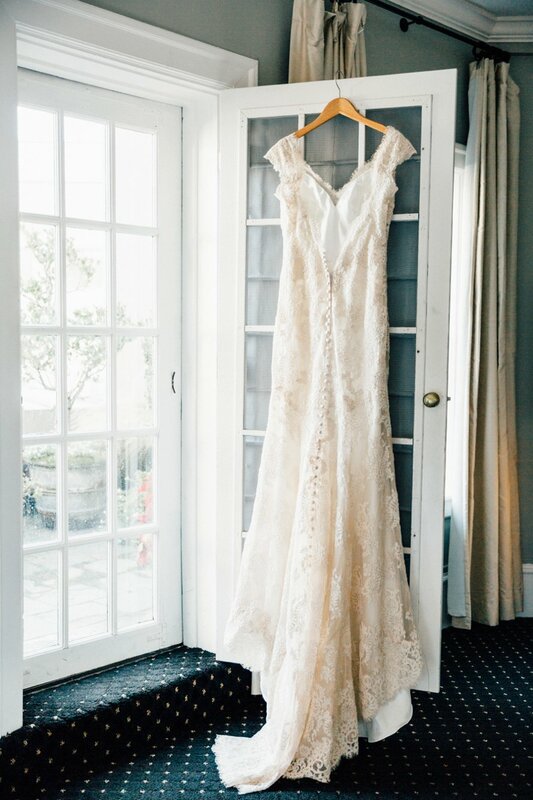 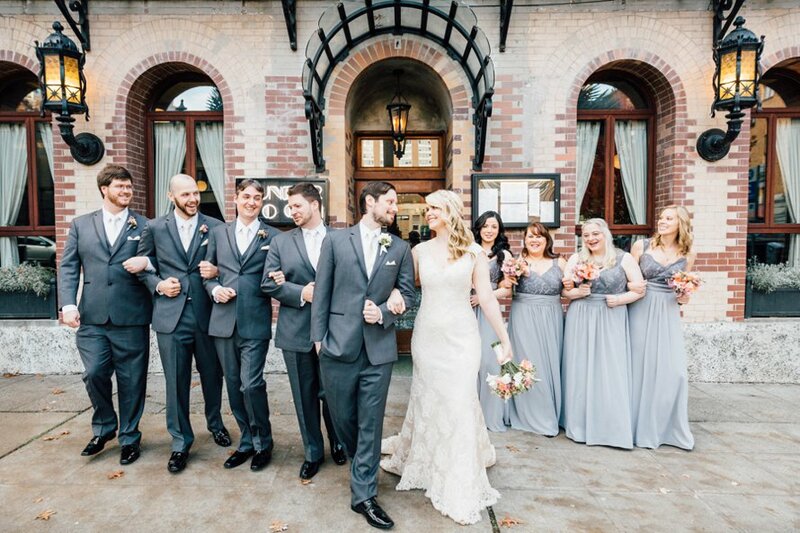 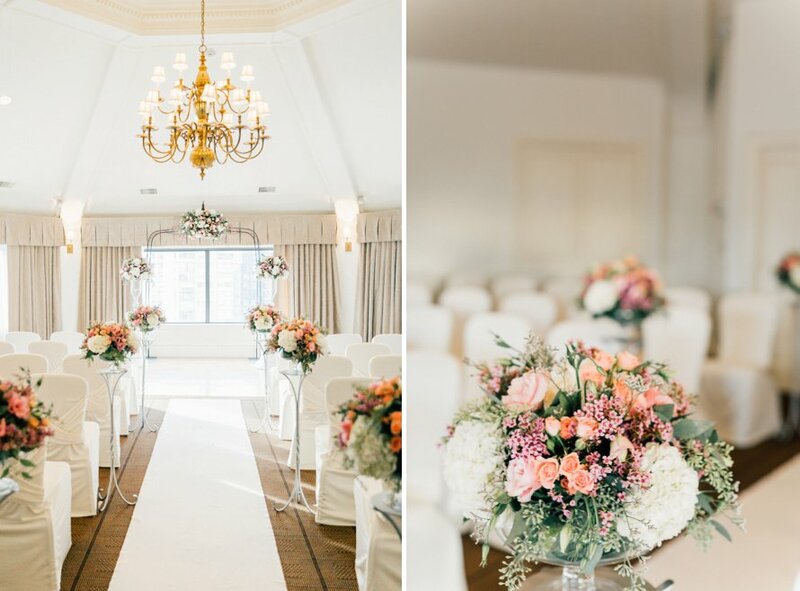 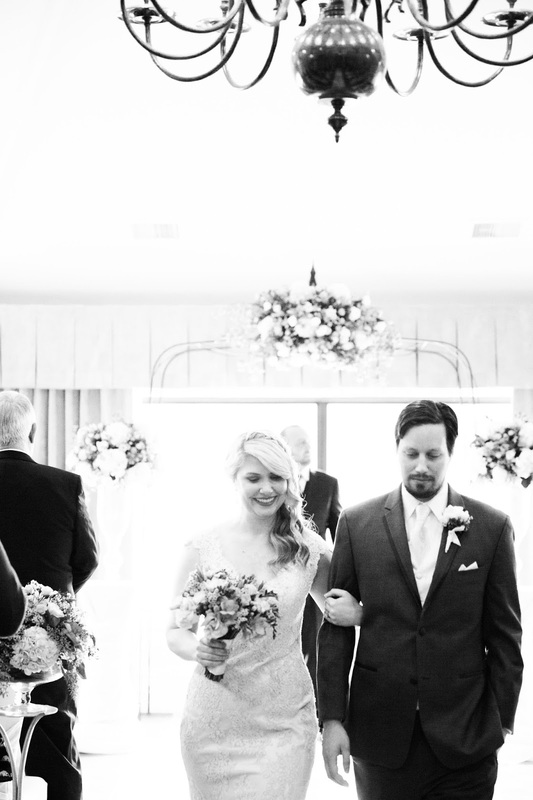 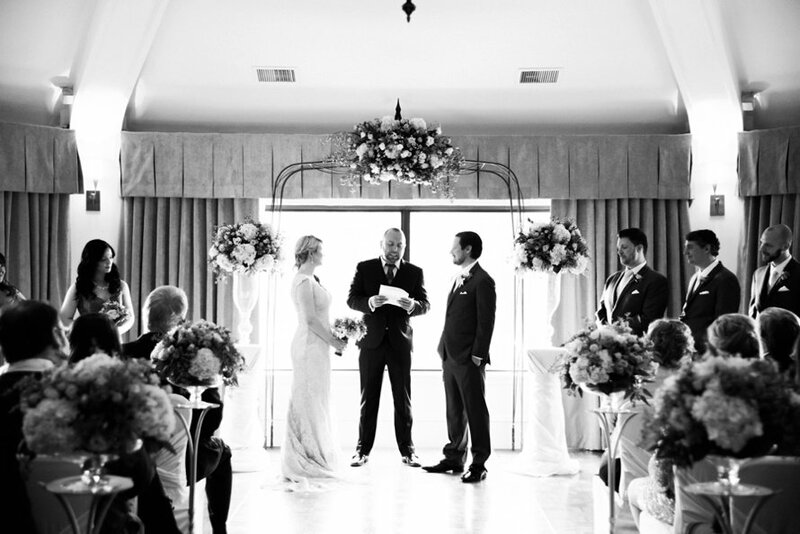 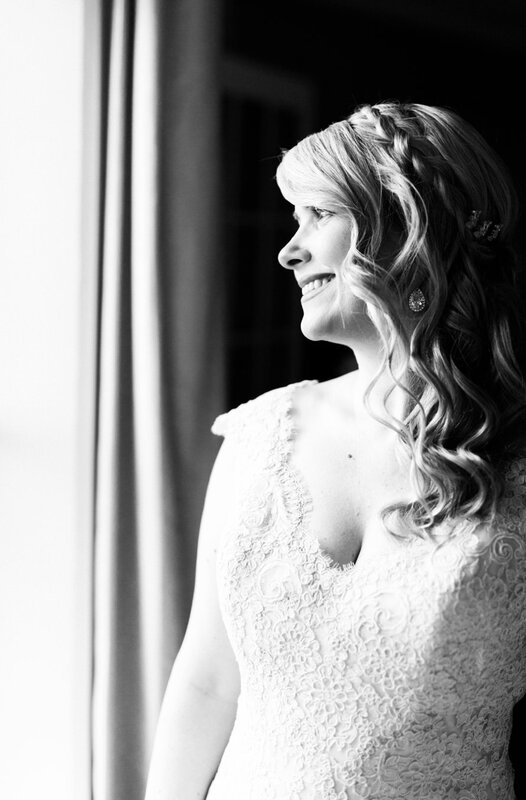 In classic fashion, Kerry and Jim swept across the halls of the historic Hotel Sorrento. 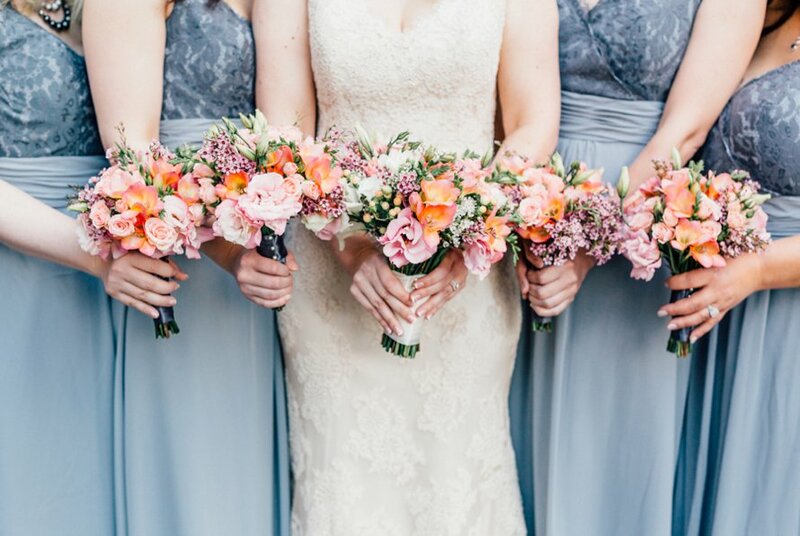 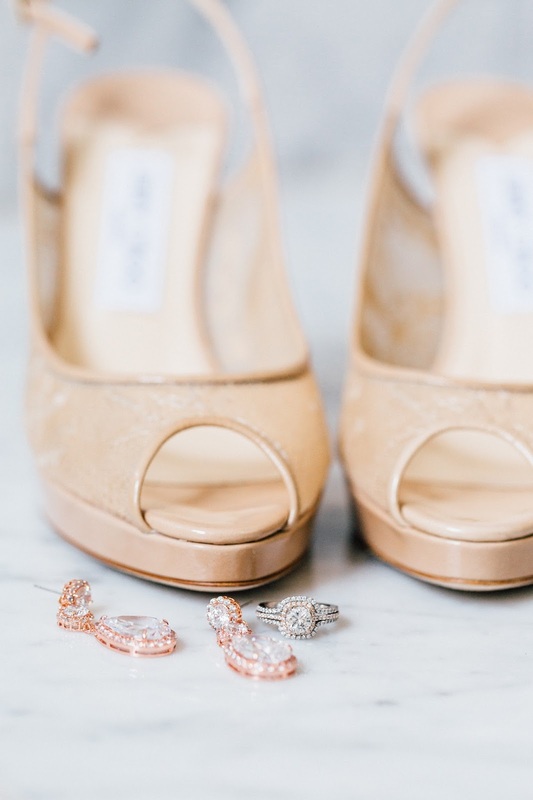 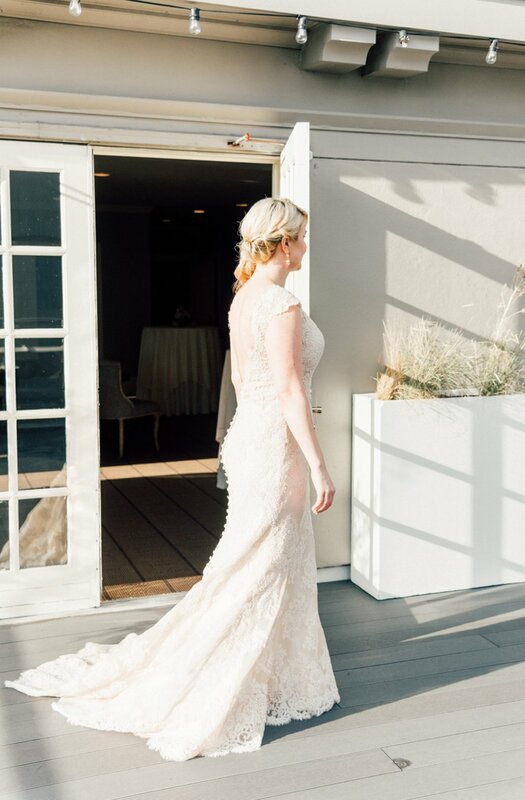 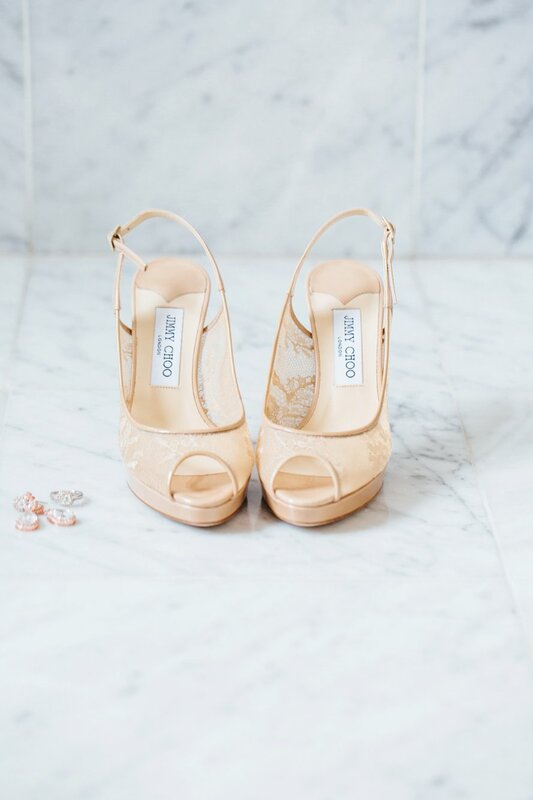 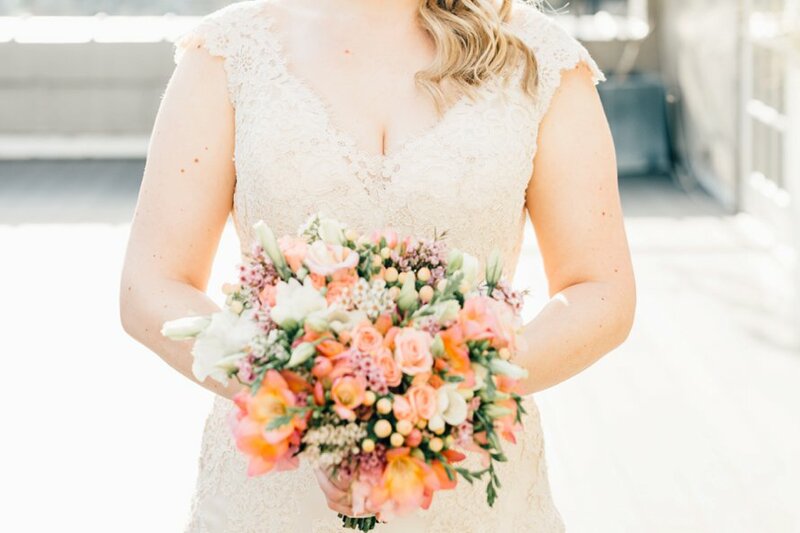 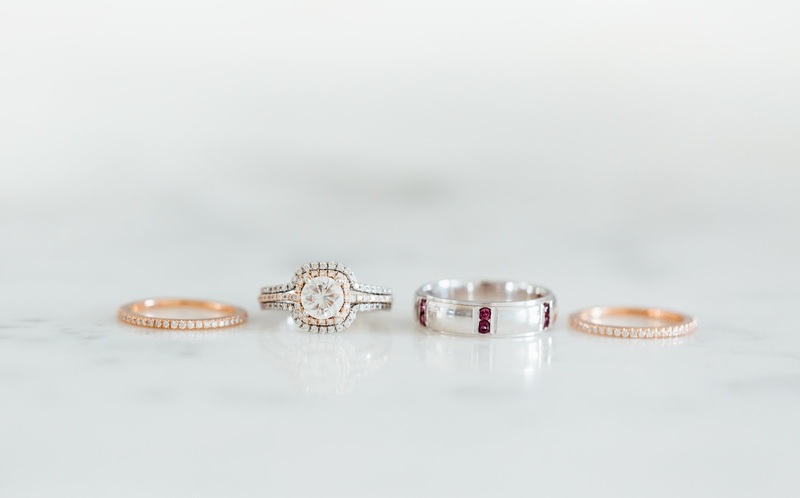 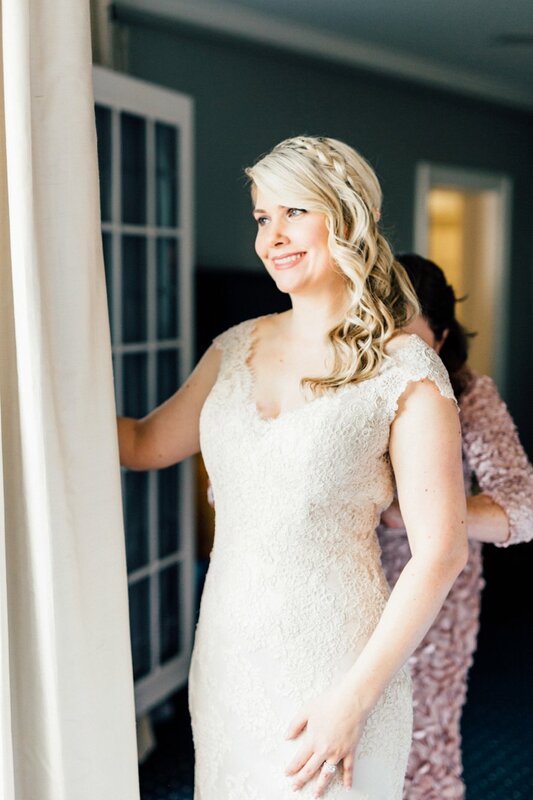 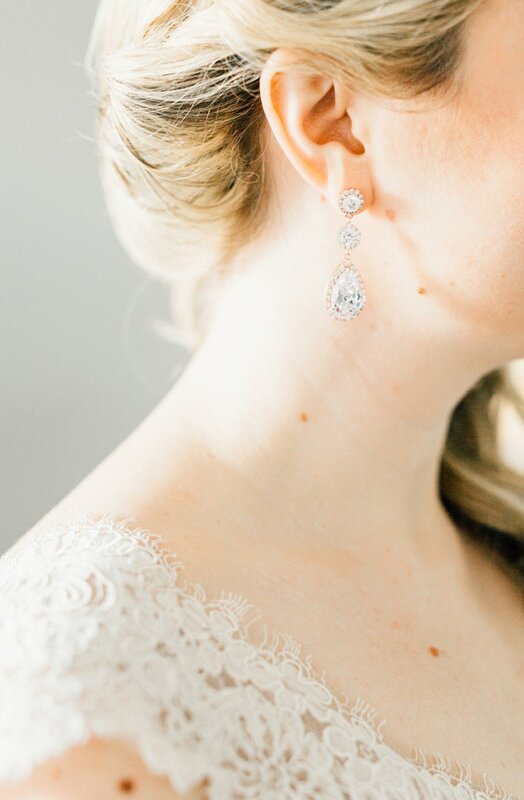 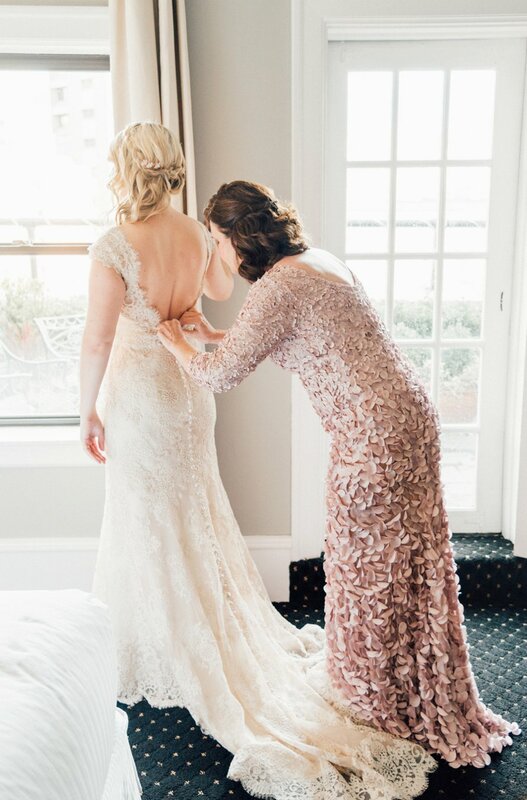 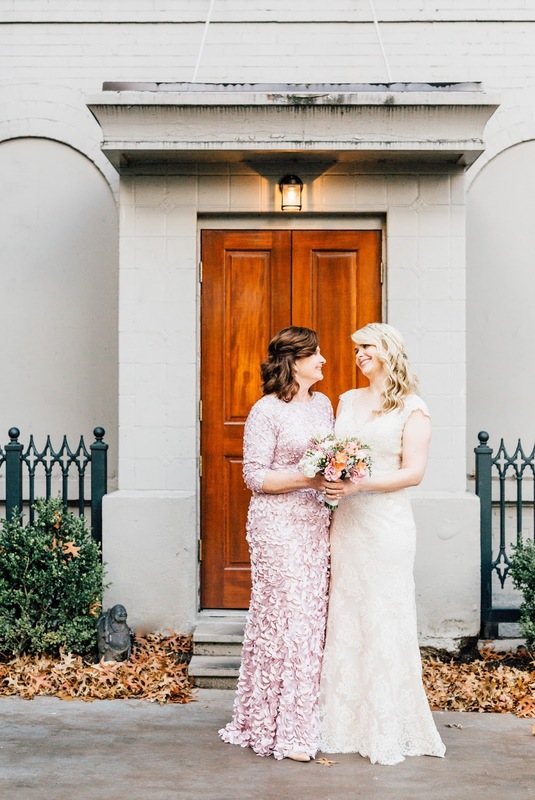 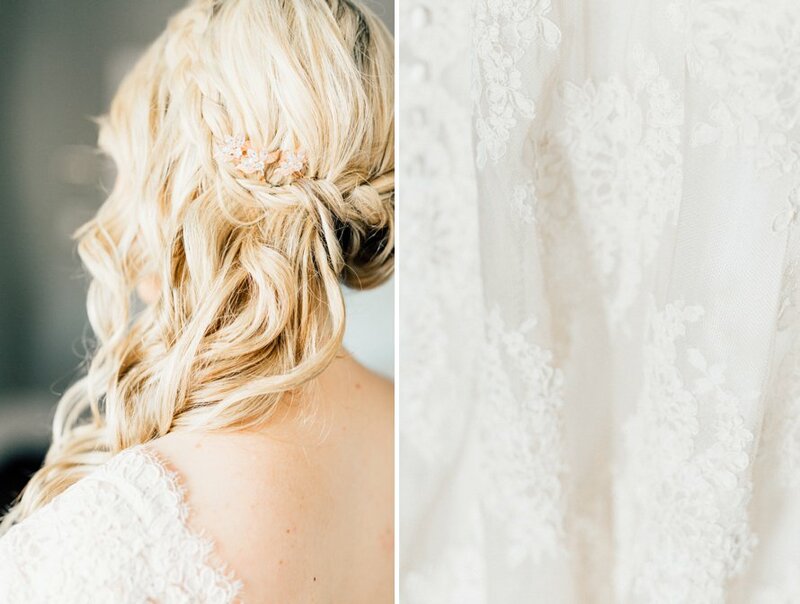 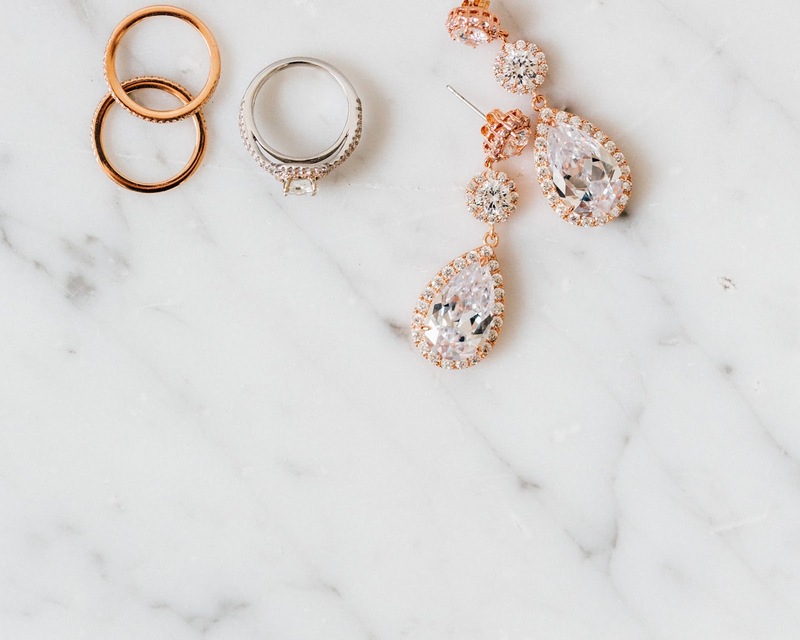 I loved how this bride tied hues of rose gold into her lace gown, shoes and jewelry -there was such a soft romance to it all! 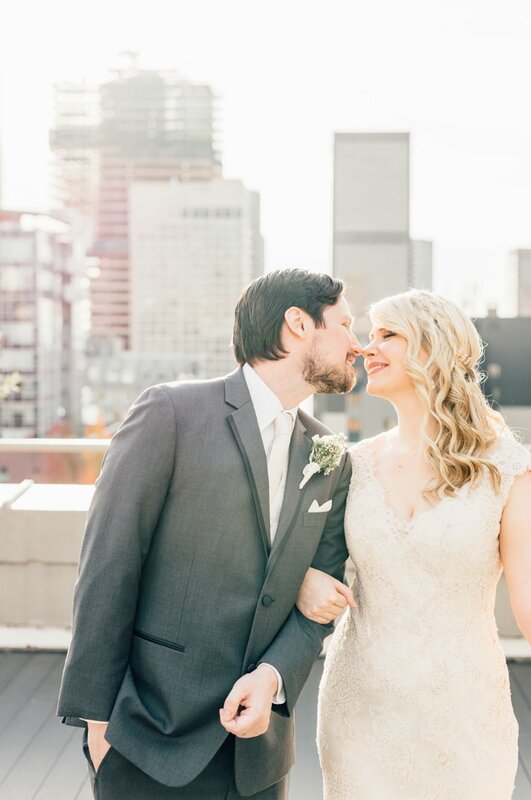 Congrats, newlyweds!